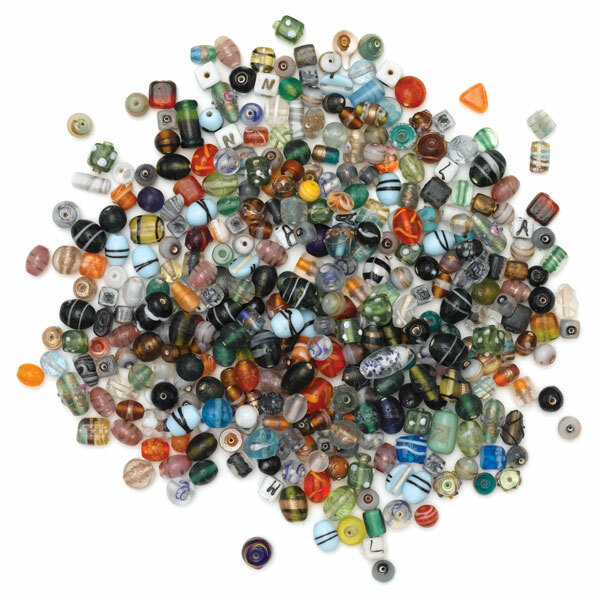 This is an exotic mix of lampwork glass beads in assorted colors and shapes, many featuring metallic swirls and elaborate surface decoration. The beads range in size from 10–26 mm. They're perfect for making unique, eclectic jewelry or for adding accents to jewelry projects using other beads. 1 lb (454 g) bag.